• The 919THI Drivers are now designed with a unique, pure titanium bendable hosel to allow you to fit ANY golfer for lie and face angle. 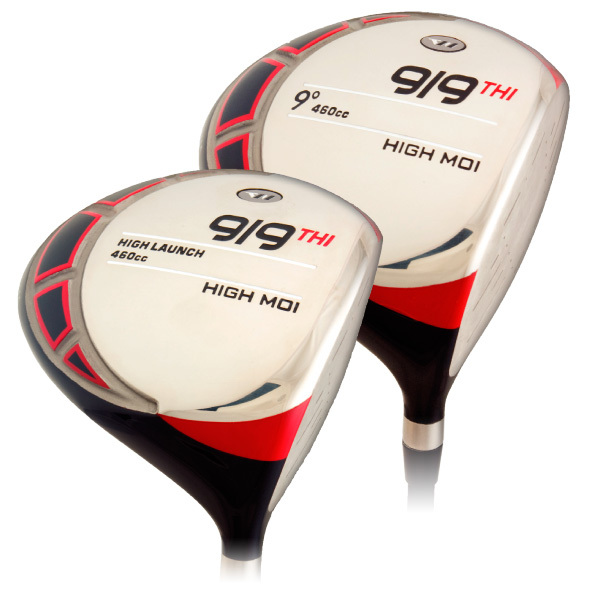 • The 919THI Drivers are manufactured using all new, plasma welding tooling dies for 2014 to ensure the highest level of head to head consistency and durability. • The combination of variable thickness face with >5,000 g/cm2 MOI delivers the best off-center hit performance in the game – just hit the 919THI Driver and you won’t believe the performance. • GRT reduced roll radius ensures a more consistent launch angle and spin rate for all shots, whether high, center or lower face hit.